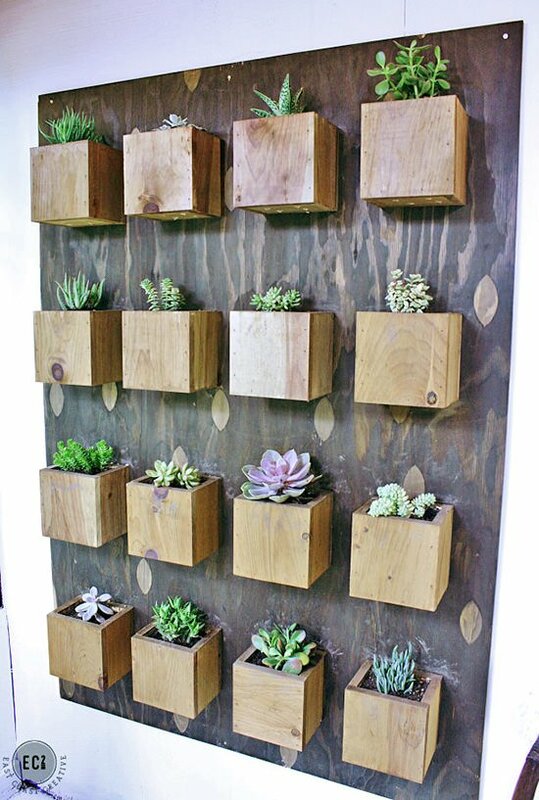 If you are looking for an indoor gardening project that is cool, easy and just a little bit trendy, cactus and succulent projects are for you! 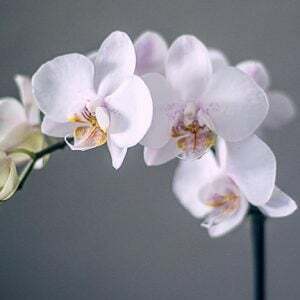 Here we found for you some great inspiration and tutorials to help you bring the modern vibe to any room of your home. Did we mention, they are really easy to take care of, too? 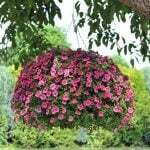 So if your thumb is brown, that’s ok… these plants and projects are just for you! 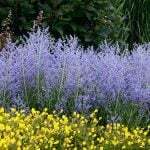 Our first project is from Cassidy at ‘Succulents and Sunshine‘. Oh my, these are cute! 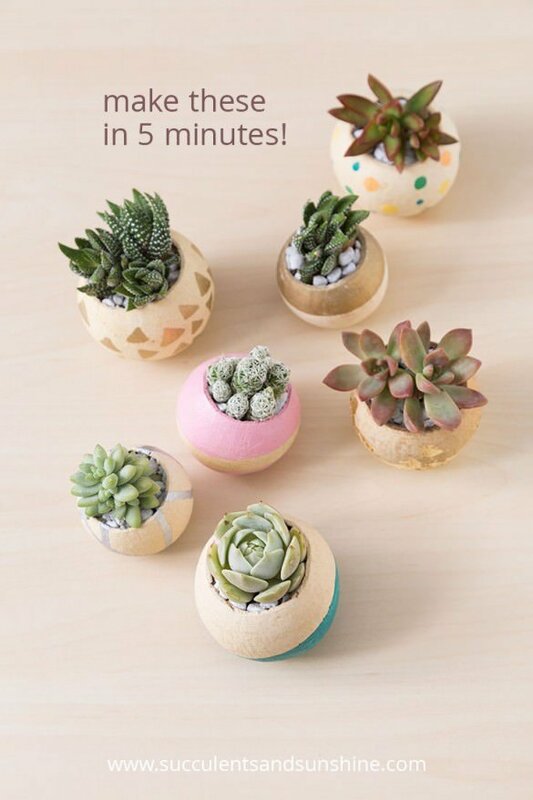 These DIY painted planters are perfect little accents, and the succulents are really easy to grow. While you are there checking out her tutorial, be sure to check out her e-book, “How to Grow Succulents Indoors“. Then you will be an expert too! 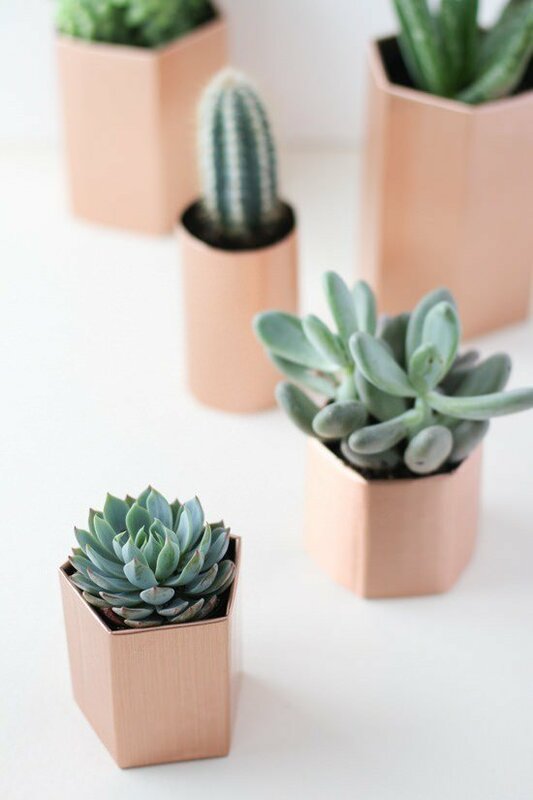 From Brittni Mehlhoff via ‘Curbly‘, these DIY metallic planters took her 5 minutes to make. 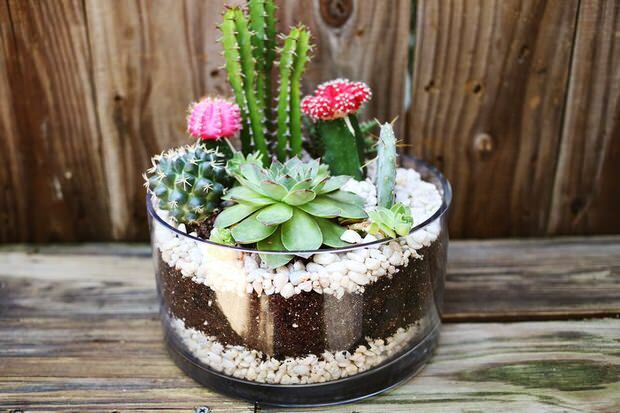 Cactus and succulent plants always look better when displayed in a cool pot… Simple, fast, easy! Want to do a project that is a bit more traditional? 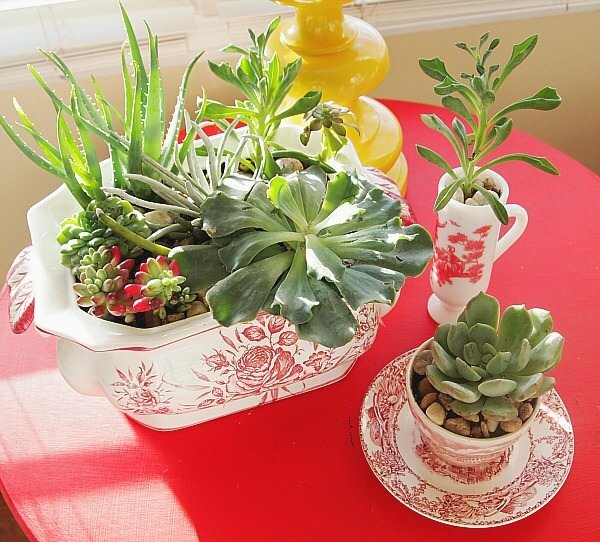 Learn how to make an indoor succulent dish garden from Manuela at ‘A Cultivated Nest‘. Pretty way to use those dishes that aren’t very practical, but too gorgeous to get rid of! 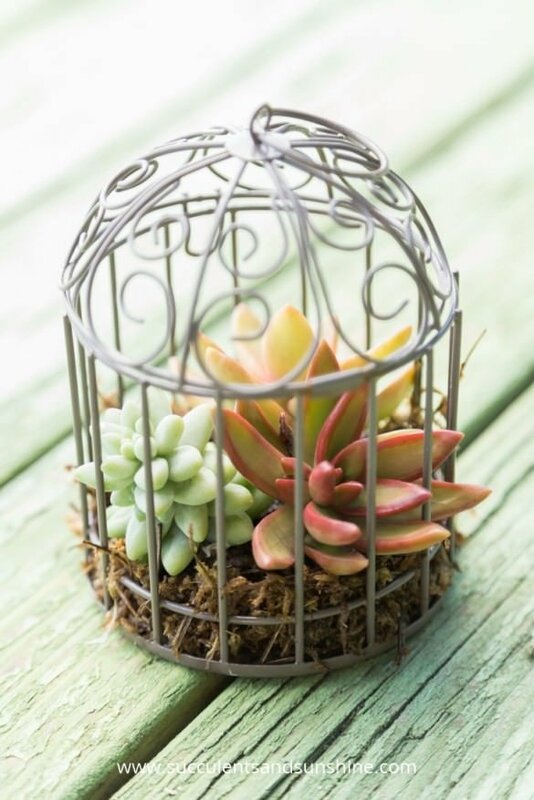 Again from Cassidy at ‘Succulents and Sunshine‘, these miniature succulent bird cages look like so much fun to put together, and can be whimsical or traditional… Ok, and they are just so sweet! 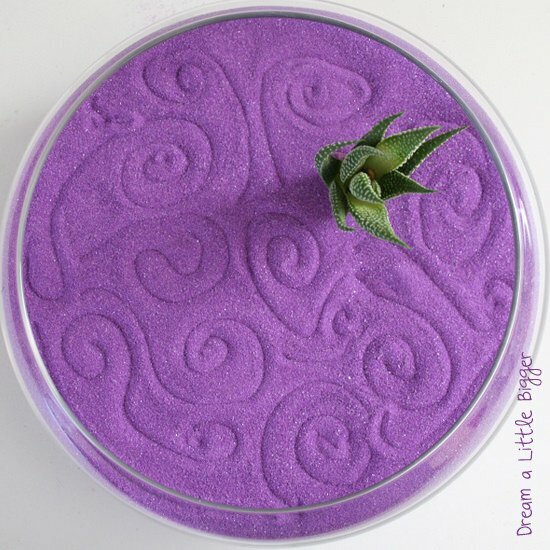 Find out just how to make these cactus and succulent projects!. 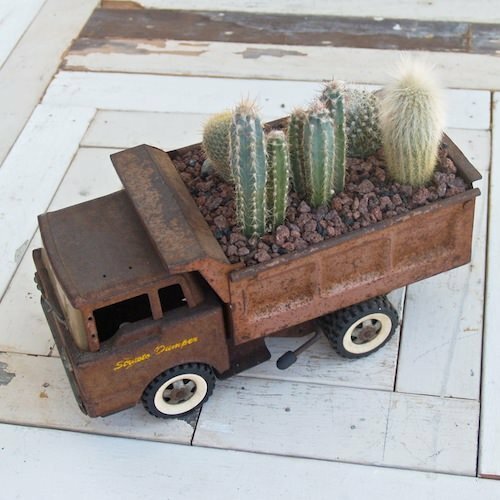 Looking for a simple cacti garden? 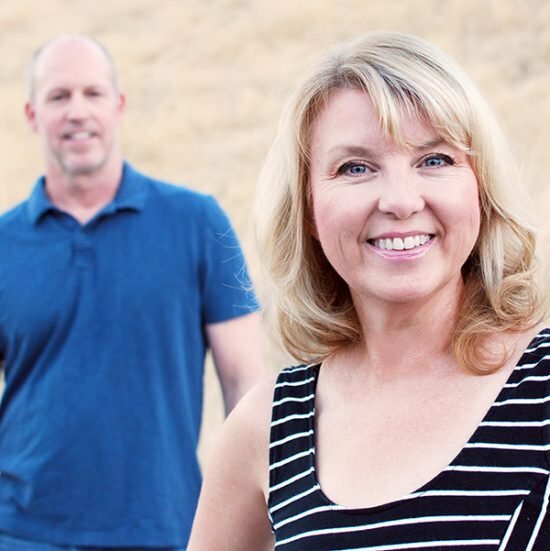 Elsie at ‘A Beautiful Mess’ has you covered, and teaches you all about getting it done. Pretty colors on these desert plants! Don’t want to figure it all out yourself? We found this Zen terrarium kit at the Etsy shop ‘Wendiland’… When we checked, this wasn’t available, but others like it were! 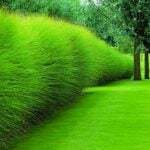 From ‘East Coast Creative‘ learn how to make a DIY garden wall, from start to end! Great tutorial with step by step photos… depending on how large you make yours, this could be a major focal piece in a room. Love! 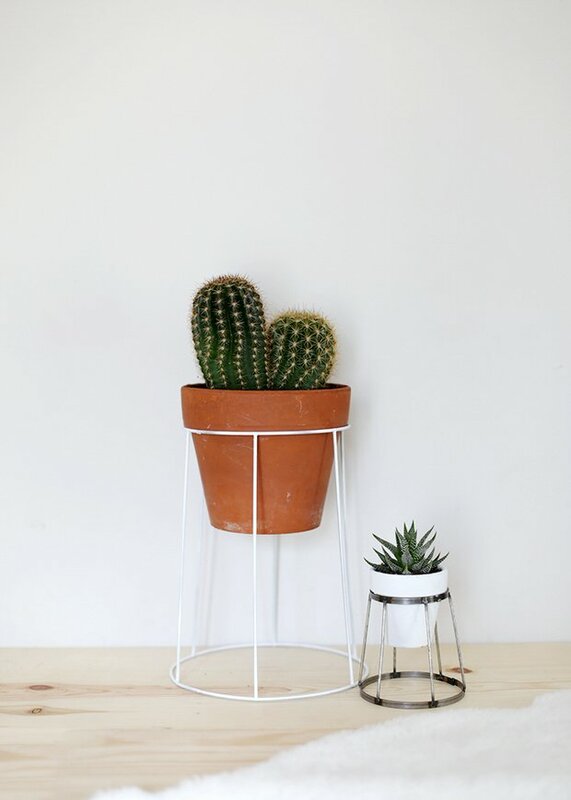 Make this DIY wire plant stand with this tutorial from ‘The Merry Thought‘ to make your cacti stand out above the rest. Want to guess what she used? 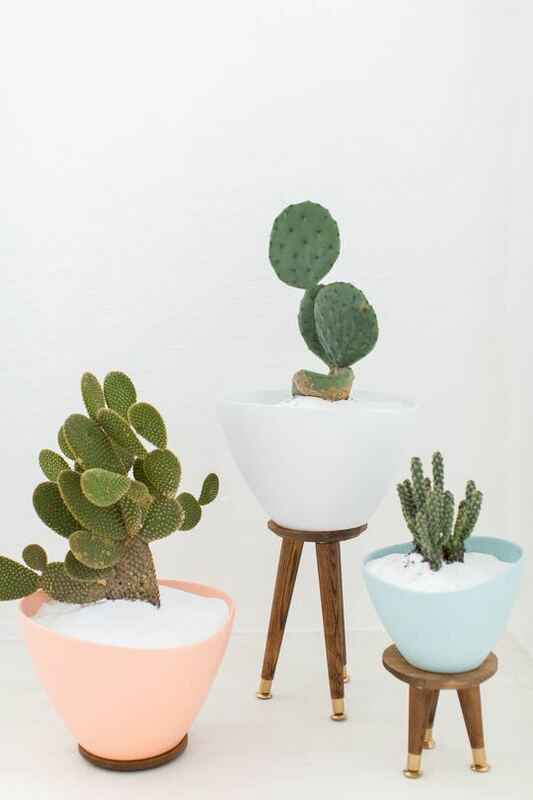 I love these DIY mid century plant stands by ‘Sugar and Cloth‘… they are perfect for the vibe of any cactus, don’t you think? These Christmas cacti will look amazing when they bloom! Yes, cacti bloom! 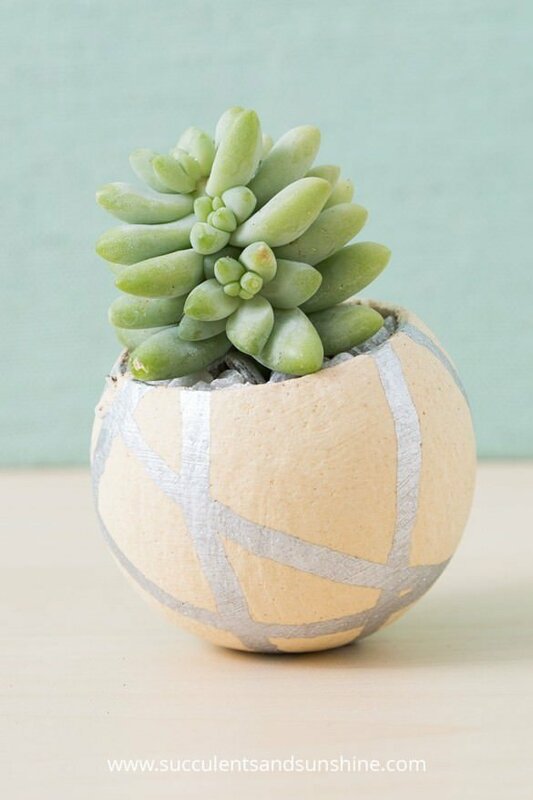 And if that wasn’t enough with our indoor cactus and succulent projects, jump on over to our post on sedum and succulent planters, for outdoors! I love the idea of planting succulents and have been contemplating turning my garden in a a succulent type garden due to long period of drought here in Jamaica. However, I can’t seem to find any succulents at the nurseries here so far. only the miniature types for desktops. 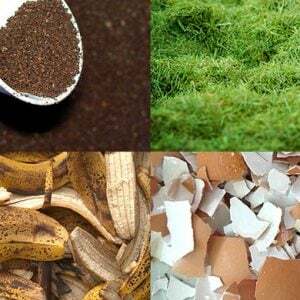 Would you recommend buying seeds online? I love the color and texture of the hens and chicks and the echeveria varieties. 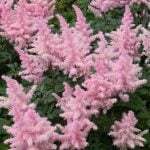 You can buy rootings online at any reputable nursery, they always root amazing!